Monitoring and sampling of Legionella is an important part of Legionella prevention. Here at JC Water Services, we are proud to be able to offer this as one of our core Legionella services. Legionella is an extremely harmful bacteria that can lead to legionnaire’s disease and while the symptoms are similar to the flu, it must be identified and treated to prevent the potentially fatal form of pneumonia. Employees and visitors alike are prone to infection, but with proper monitoring and regular planned sampling, you can keep track of potential risks before they become an issue. Using only UKAS accredited labs, we can sample the water in your systems and test for the presence of Legionella bacteria. If the tests come back positive for legionella bacteria, our team are on hand to help you manage the situation and can assist in helping you take the required preventative steps. Which Legionella Monitoring & Sampling Tasks Do We Offer? Here at JC Water Services, we are able to sample and test your water on your behalf. Our water sampling technicians are highly trained and experienced members of the team and will collect the samples so you don’t have to worry about potential infections or excessive downtime. The team here at JC Water Services are able to offer a range of services. 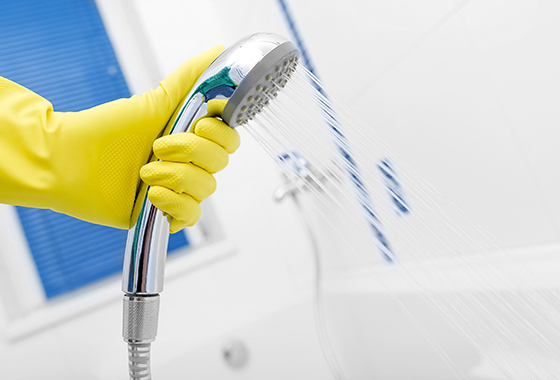 These include Legionella risk assessment and review, annual cold water storage tank inspections, annual / 6 monthly inspection of calorifiers and blowdowns, quarterly descaling of any shower heads or spray outlets to prevent bacteria growth, monthly temperature monitoring and a weekly flush of infrequently used outlets. We offer a full catalogue and suite of services so whether you’re looking for a full Legionella monitoring and sampling service, or you simply need advice on how best to manage and prevent a Legionella outbreak within your facilities. If you’re interested in our Legionella Monitoring and Sampling service, contact one of our friendly and knowledgeable team today.